The chip industry continues to name lithography as a critical challenge in fabricating next generation integrated circuits. Historically, the lithography community has successfully met any challenge the semiconductor industry has faced, from bringing immersion lithography into mainstream production to working with chip designers on improving manufacturability. However, to continue the required IC technology progression will demand unprecedented ingenuity, cost efficiency and communication within the lithography community and across interdisciplinary lines. 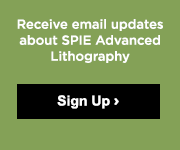 For the past 34 years, the SPIE Advanced Lithography Symposium has played a key role in bringing the lithography community together to solve challenges required by the semiconductor industry. With the addition of a new conference in 2010 covering EUV lithography, the total spectrum of lithography technology is presented across 6 complementary conferences. Symposium participants come from an extensive array of backgrounds to share and learn about state-of-the-art lithographic tools, resists, metrology, materials characterization, and design and process integration. Through a series of provocative panel discussions and seminars, the Symposium further probes current issues to be faced as we extend these technologies or try to switch to alternative technologies. All conferences are organized by current practitioners of the art and numerous short courses are taught by recognized industry experts. Additional information is available from the many manufacturers' exhibits, which allow tool makers and material suppliers to showcase new products while interacting one-on-one with customers. 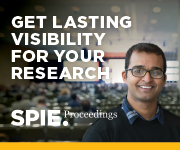 We welcome your attendance and hope that you will join us at the San Jose Convention Center, San Jose, California for SPIE Advanced Lithography’s 35th year. We look forward to seeing you there! Robert D. Allen, IBM Almaden Research Ctr. Will Conley, Freescale Semiconductor, Inc.
Mircea V. Dusa, ASML US,Inc. Daniel J. C. Herr, Semiconductor Research Corp.
Bruno La Fontaine, GLOBALFOUNDRIES Inc.
Patrick P. Naulleau, Lawrence Berkeley National Lab. Christopher J. Progler, Photronics, Inc.
Christopher J. Raymond, Nanometrics, Inc.
Michael L. Rieger, Synopsys, Inc.
Mark H. Somervell, Tokyo Electron America, Inc.
William H. Arnold, ASML US, Inc.
Timothy A. Brunner, IBM Thomas J. Watson Research Ctr. Ralph R. Dammel, AZ Electronic Materials USA Corp.
Roderick R. Kunz, MIT Lincoln Lab. Harry J. Levinson, Advanced Micro Devices, Inc.
Victor Pol, Freescale Semiconductor, Inc.